Are you a property management company, HOA, construction company or architect in need of professional help to design and install glass at a commercial building? Westoaks Glass & Mirror serves all types of businesses in need of interior or exterior glass replacement and repair. 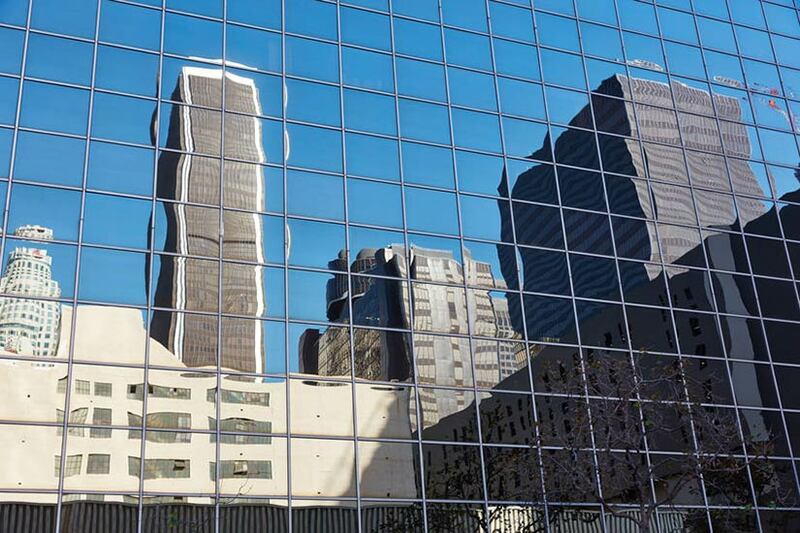 We can remodel and retrofit any office building that has special architectural glass needs, like historic buildings or energy efficient high-rise structures. 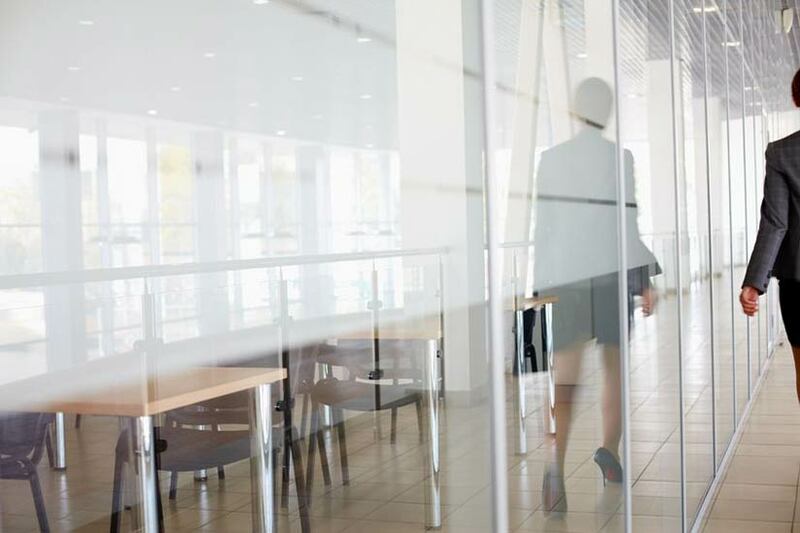 Since our founding in 1988, our custom tailored approach to complete a project on time with minimal disruption has benefited numerous businesses with retail storefronts and office spaces. Westoaks Glass & Mirror can protect or enhance your business with a variety of specialty and decorative glass products. We install commercial building windows to meet the needs of clients with specific technical requirements and performance goals. Every situation is different and demands us to consider various design parameters to produce specific performance outcomes. For example, the orientation and size of a window area with a specific type of glass will determine the amount of sunlight allowed in an interior space. Too much or too little light may be uncomfortable for employees which in turns negatively affects their job productivity. 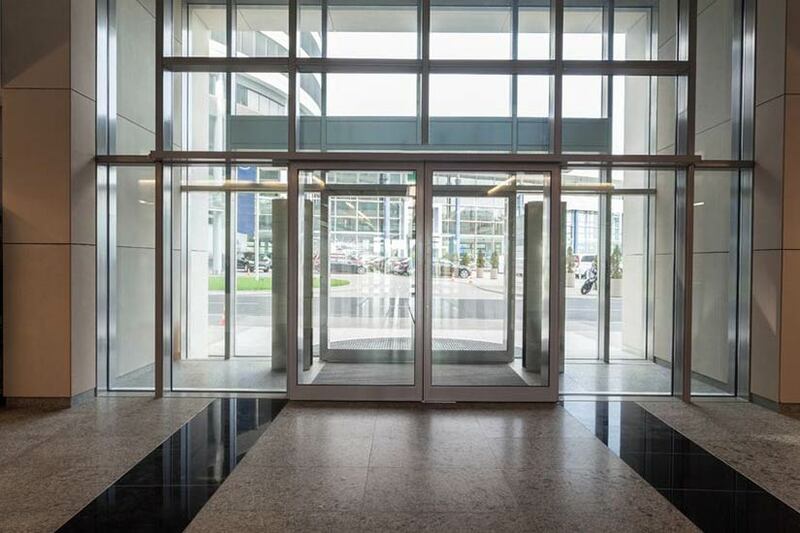 If you need to remodel your entranceway or lobby with glass swing doors or glass revolving doors, or just replace a glass panel in an entrance door or sidelight, Westoaks Glass will get the job done right with minimal foot traffic disruption. No commercial entry door or matching sidelight is too difficult for us to install tempered glass to fit its standard or custom frame perfectly. Our all-glass entry installations meet local and federal building codes. 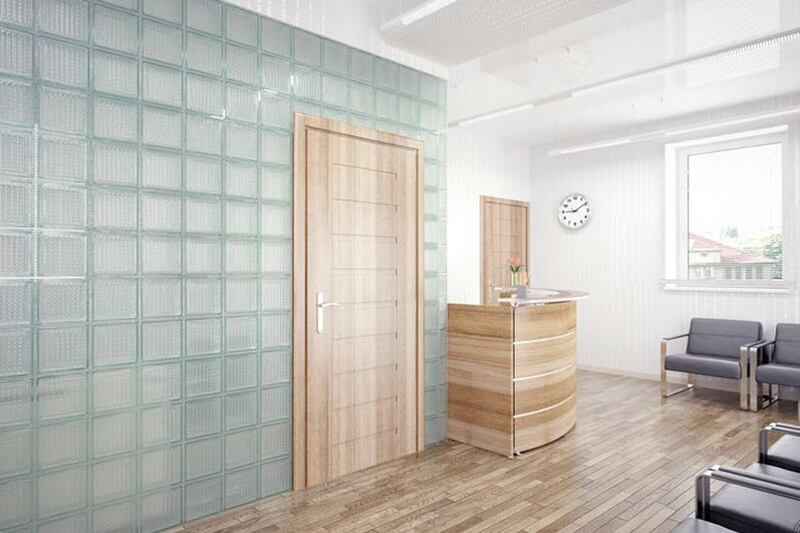 Your office reception area should make a positive first impression. Planning its layout using various glass products can make an immediate difference after someone steps through the door. Our glaziers can custom design, engrave and cut glass in any shape or size for a wide range of applications to produce something truly original and refreshing. 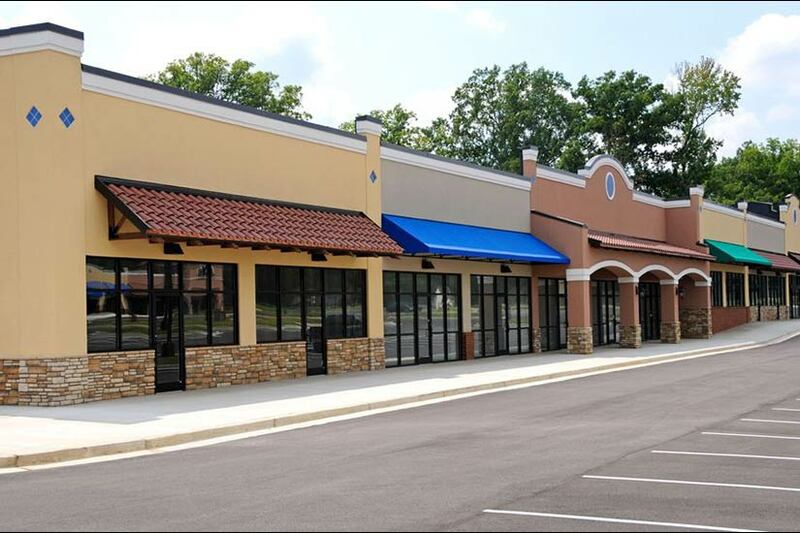 If your storefront glass is damaged, or you want to update it with a new look, you can trust our experts to provide the necessary repair and replacement services. We can install any type of clear, tinted, frosted or safety storefront glass in any size and shape to make your business stand out from the crowd. Installing a glass partition is a great way to divide commercial and office interiors to better utilize functional space and deliver a seamless appearance. Westoaks Glass & Mirror can fabricate floor to ceiling or free standing interior glass wall partitions and dividers that are safe and aesthetically pleasing. Our experts can help customize your space with a host of custom glass and hardware options to meet your technical and design specifications. We can work with architects and designers through every stage of installing a glass wall partition to realize your ideas. Create a stylish modern look for your commercial office space with a glass conference table that will impress your clients and employees and convey a forward thinking environment. We can fabricate a custom glass table that best fits the size, shape and decor of your meeting room. 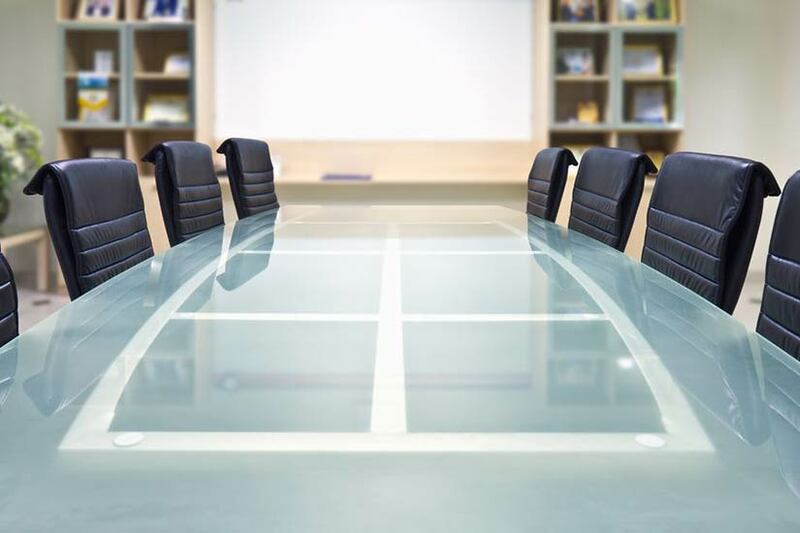 Additionally, we can custom measure and fit replacement glass tabletops for damaged conference room tables in need of repair. Westoaks Glass is equipped to custom design and install glass walls and doors for business offices being renovated or under new construction. We have earned an outstanding reputation for improving office spaces with distinctive architectural glass systems for commercial use. Our glazing contractors can work with architects, project managers and designers in the selection, specification and installation of structural wall glass systems. Protect and display your most prized possessions in a beautiful glass showcase. 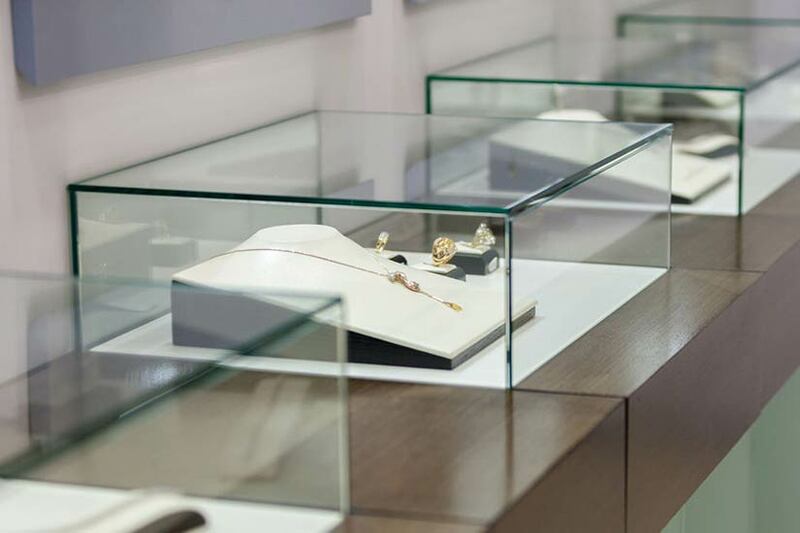 Whether you require a new custom design configuration, or need to replace the glass on a wall showcase, countertop showcase, or freestanding showcase like a tower, island, kiosk and pedestal, we can fabricate the highest quality glass showcase in various sizes, shapes and styles. Select your county location to check if your city is listed in our service area.